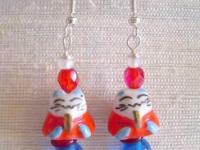 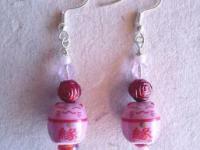 eBlueJay: Pink Maneki Neki Kitty Cat Earrings Luck in Love & Romance! 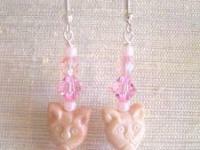 Pink Maneki Neki Kitty Cat Earrings Luck in Love & Romance! 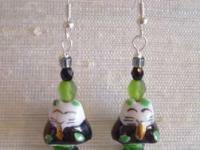 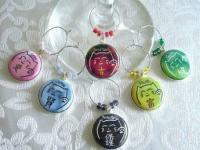 Two little pink Maneki Neko Lucky Japanese Kitties dangle from silver plated French hook ear wires. 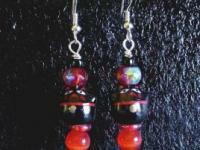 They are strung with red and black fire polished Czech glass beads. 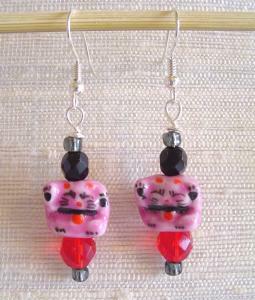 Pink Nekos are said to bring good fortune to the area of love & romance, and these little guys have both paws raised for the best effectiveness! 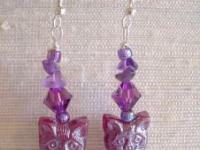 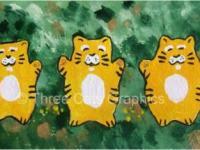 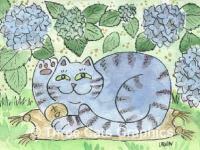 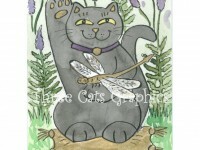 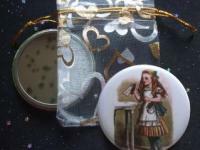 Kitty drops measure approximately 1 1/2" long as they hang from the French hooks. 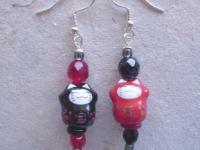 They will be reaching their destination safely tucked in a gift box.